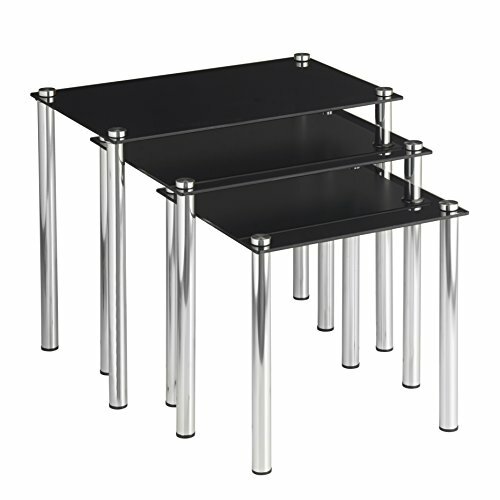 Composed by a sturdy stainless steel frame and tempered glass top. 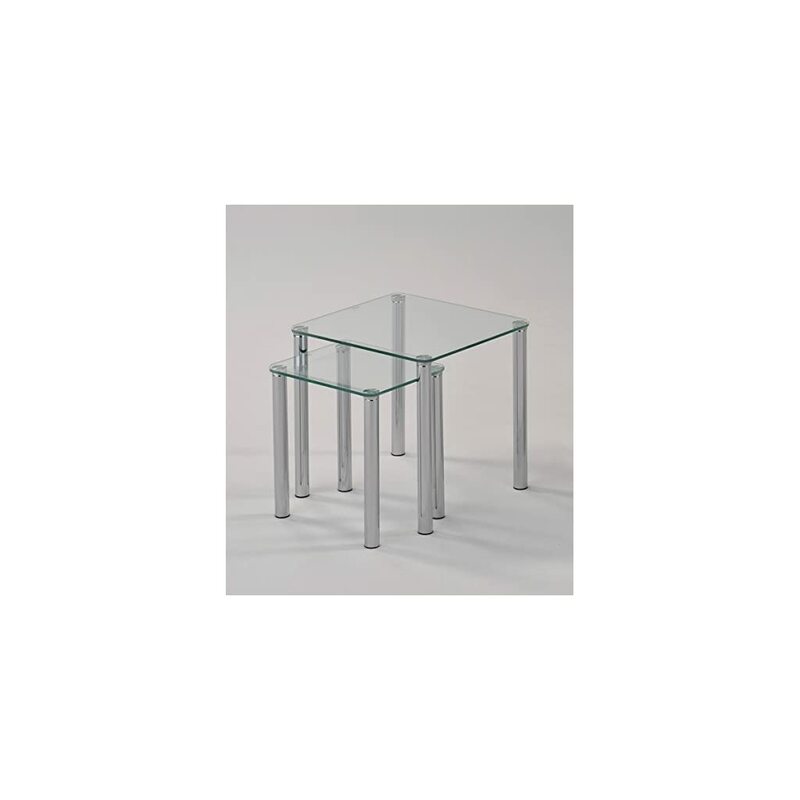 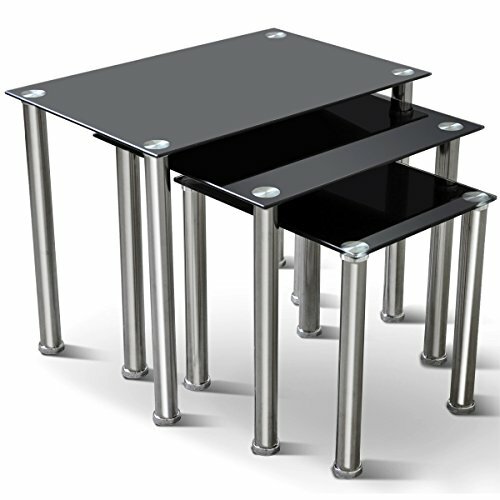 Dimensions of Large Table: W50 x D45 x H45cm (Approx.). 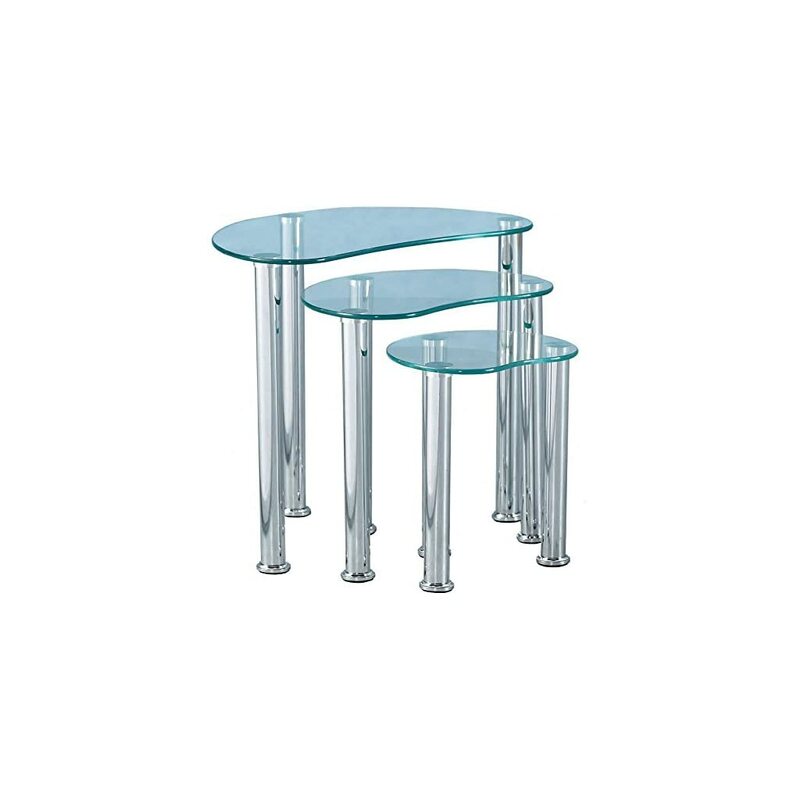 Tempered glass shelves with chrome legs. 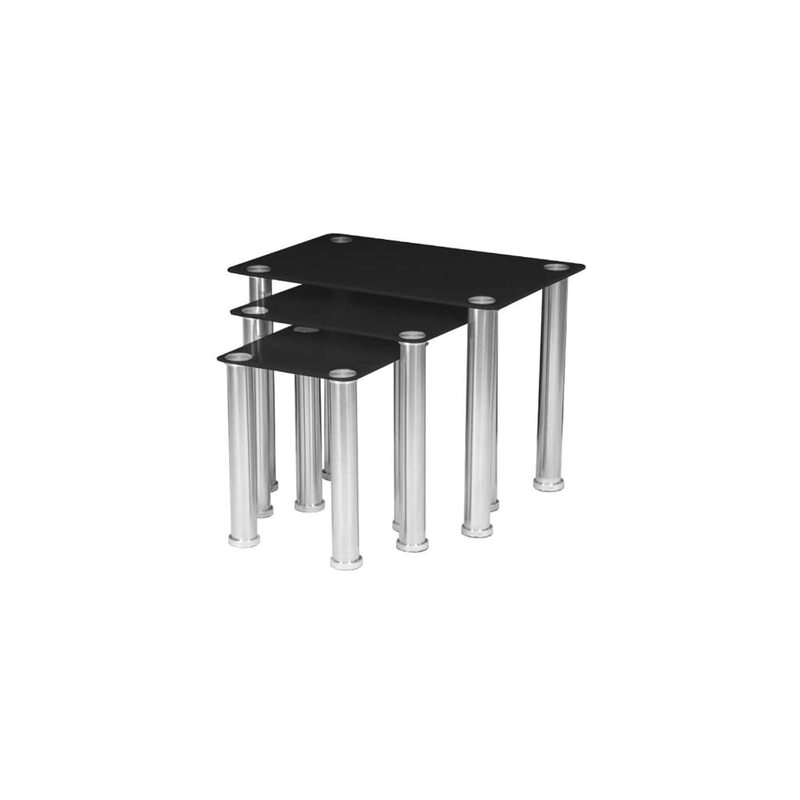 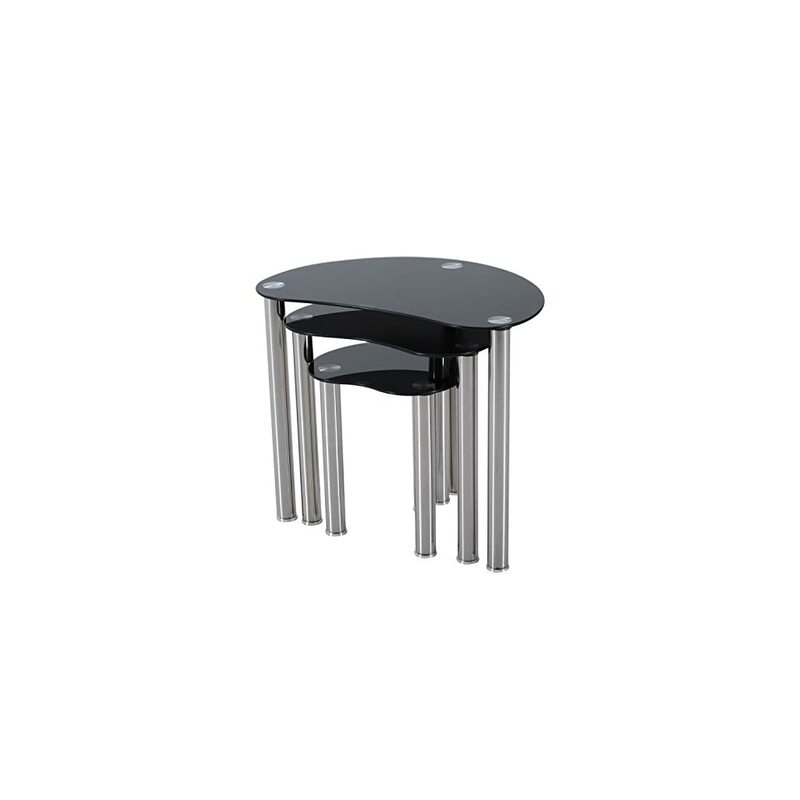 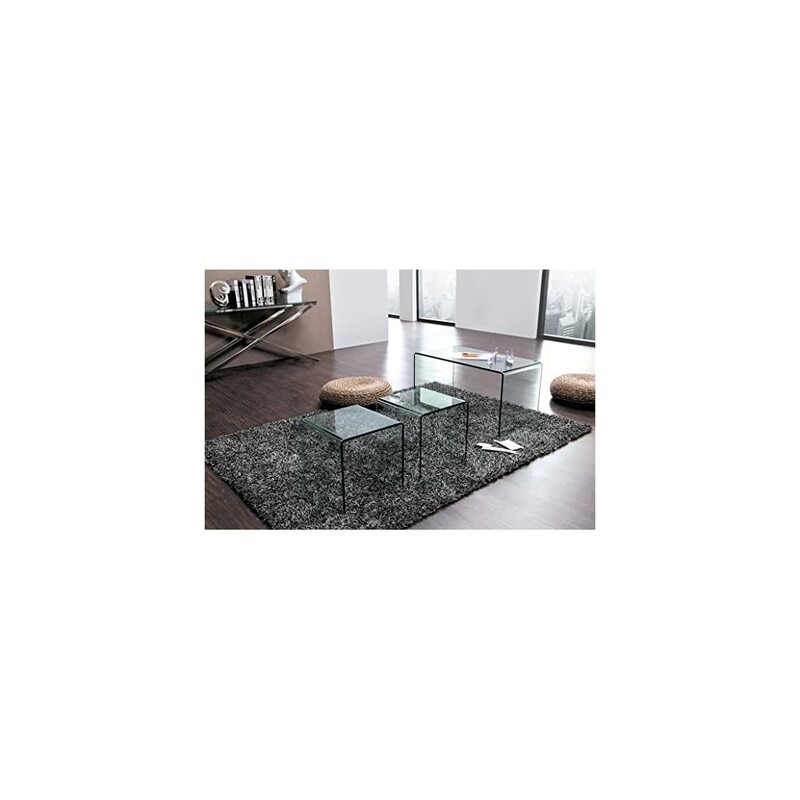 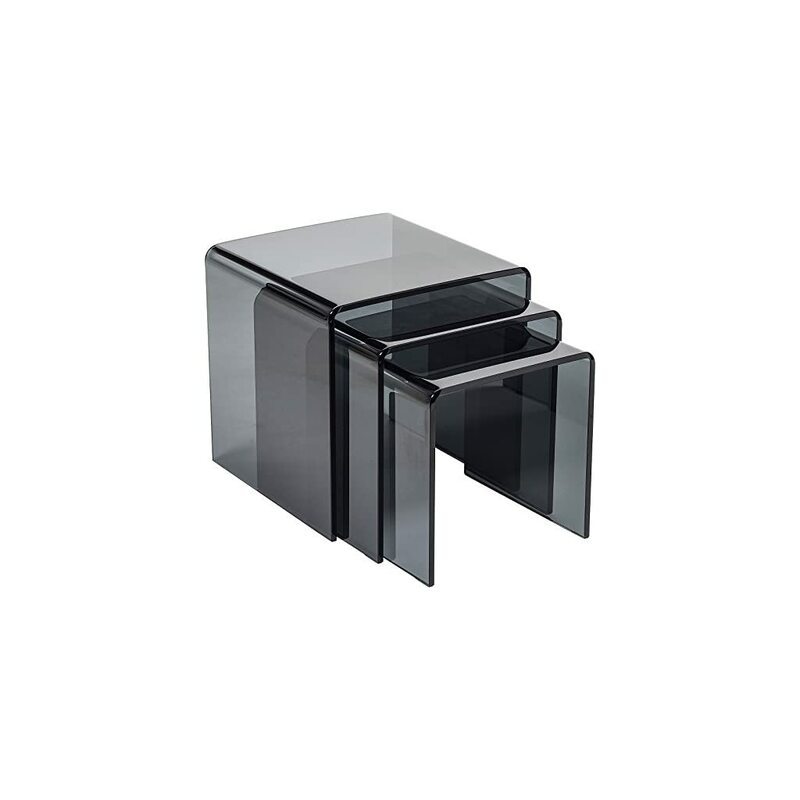 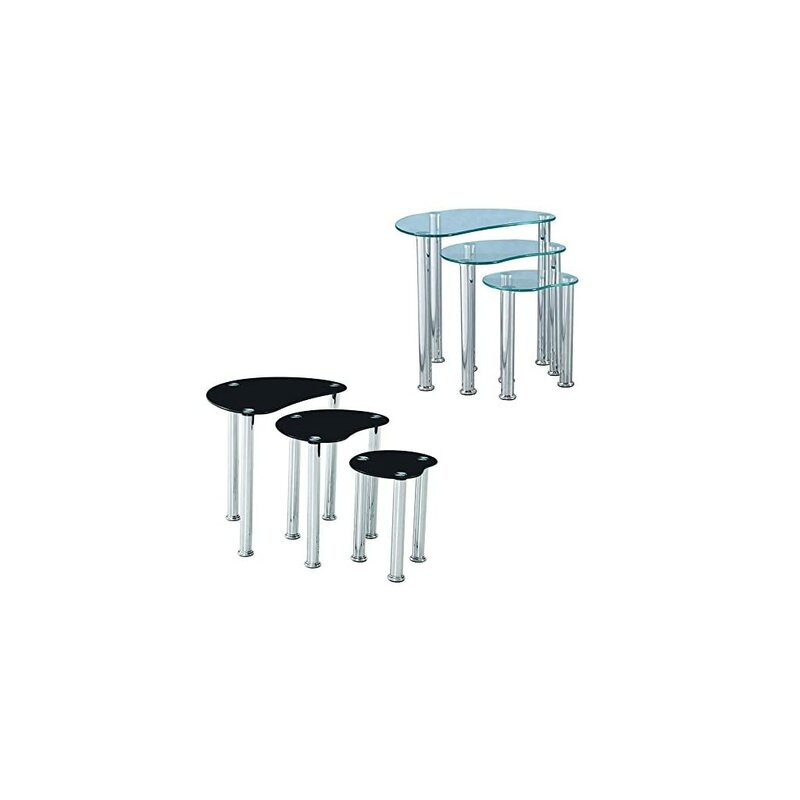 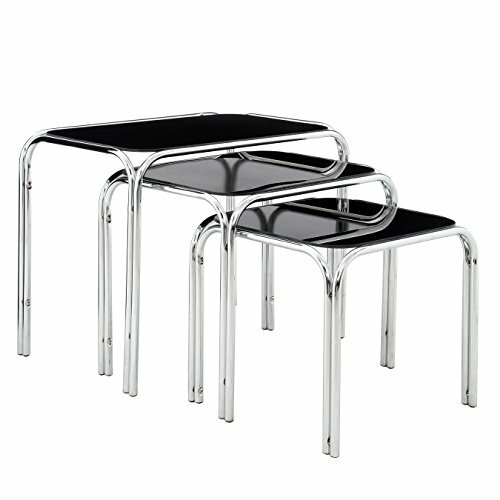 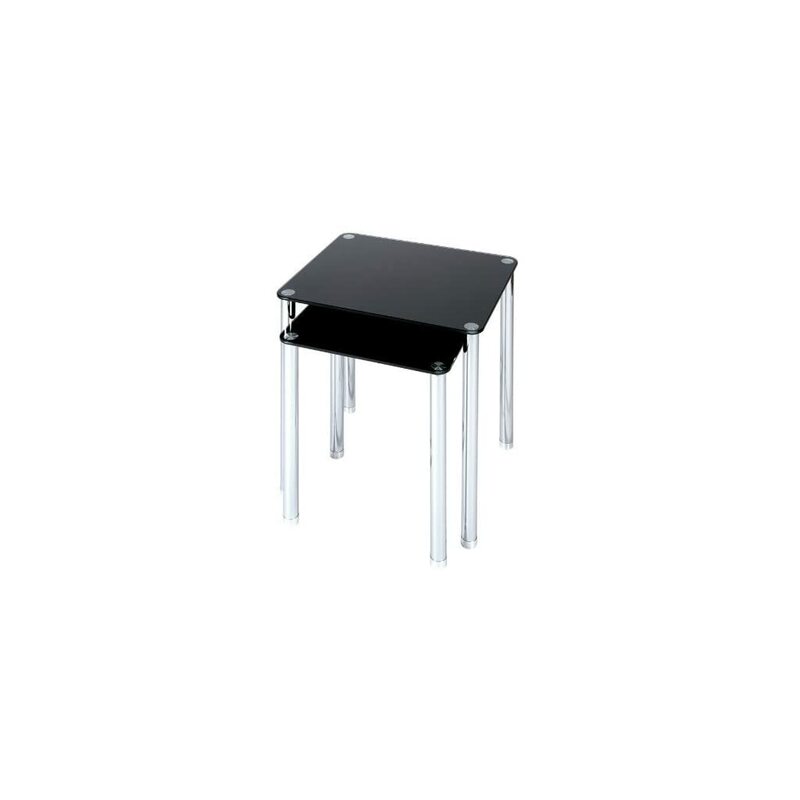 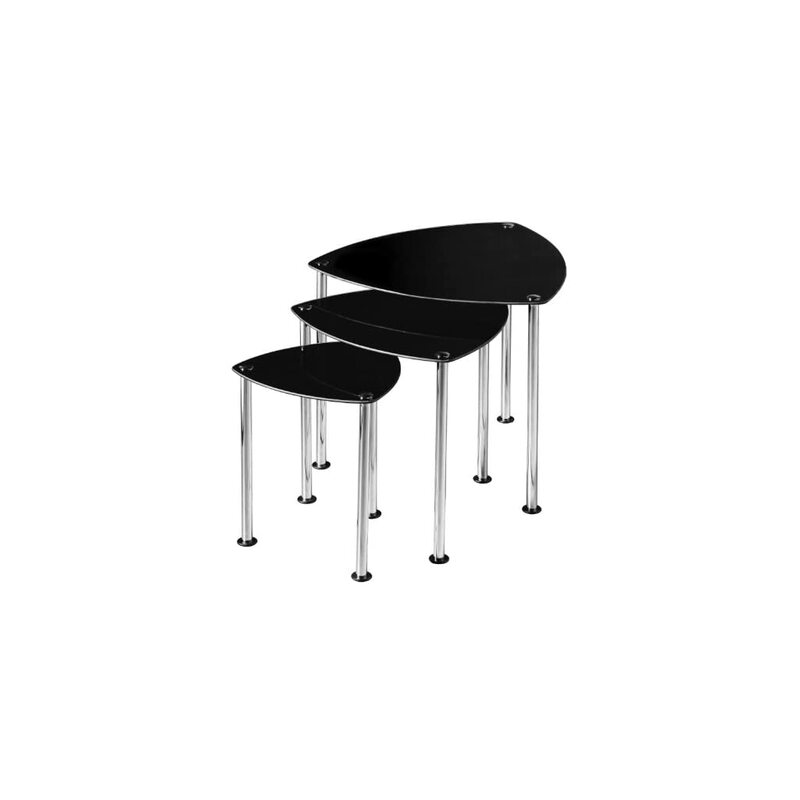 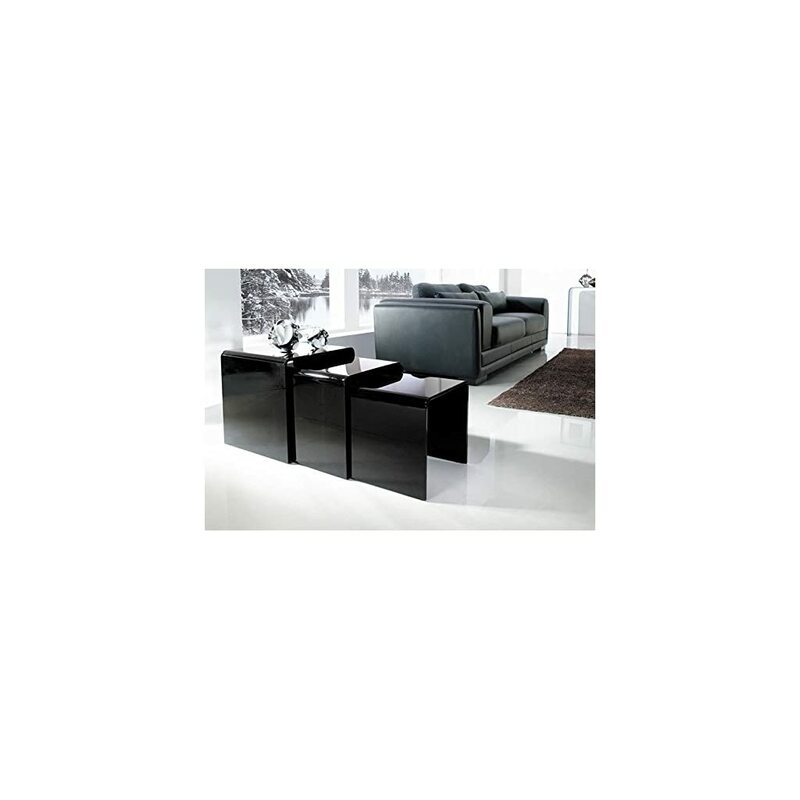 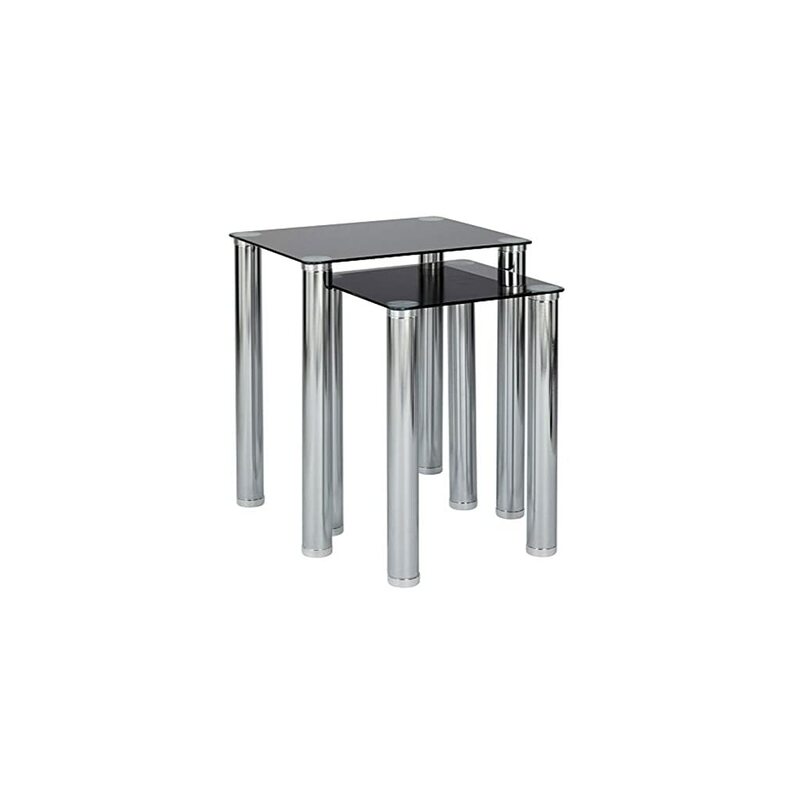 It features a High Gloss Black table top with sturdy curvey legs to enhance the modern look. 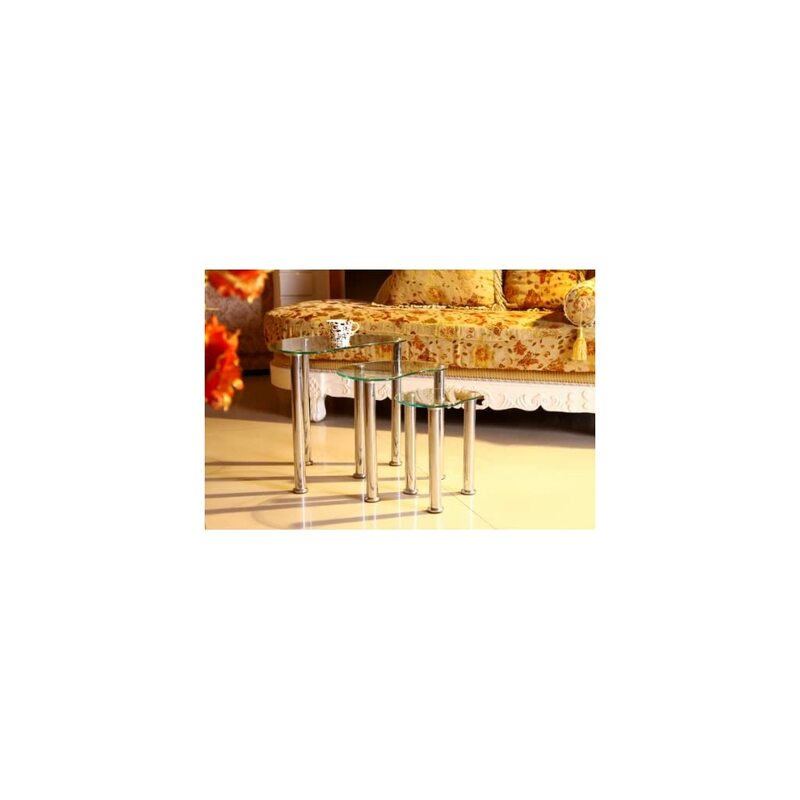 Size of largest table H50, W45, D35cm. 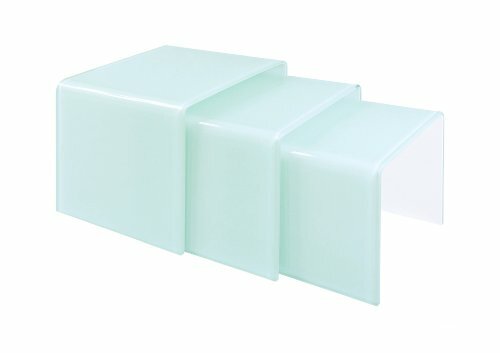 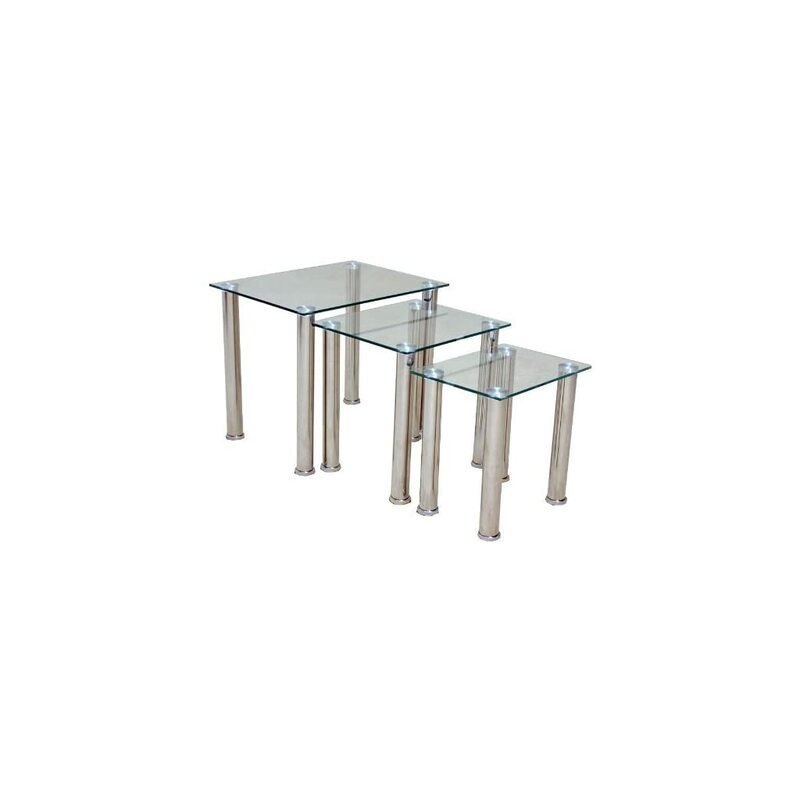 Geo set of 3 Nesting Tables. 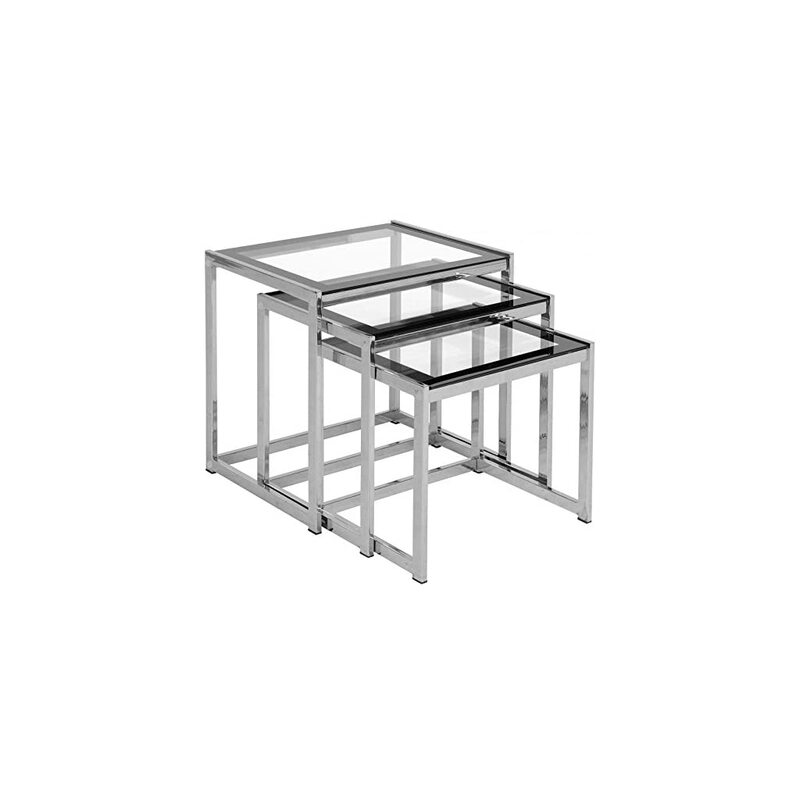 Dimensions: L 48X31X43(H)cm / M 38X31X38(H)cm / S 31X28X33(H)cm. Tempered glass and chrome legs. 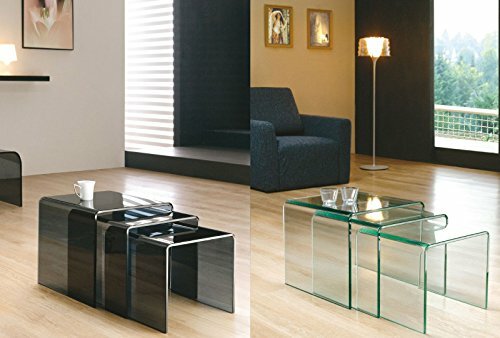 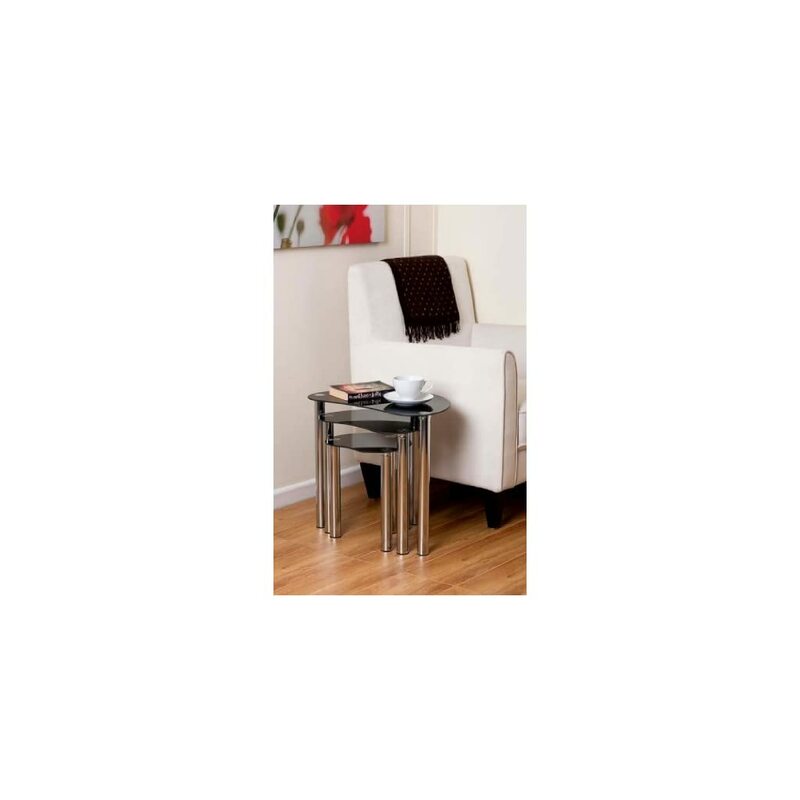 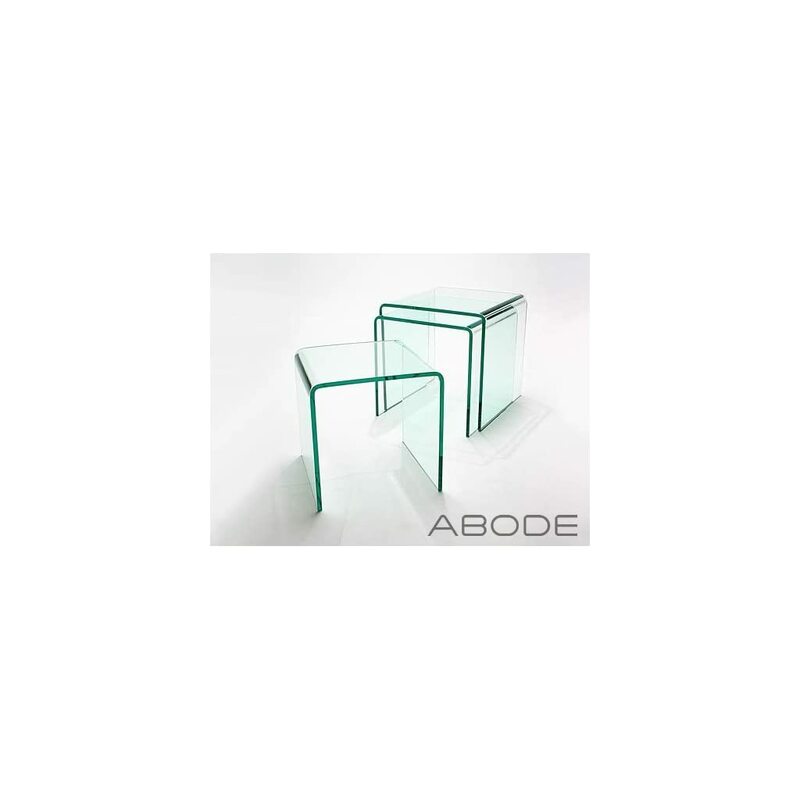 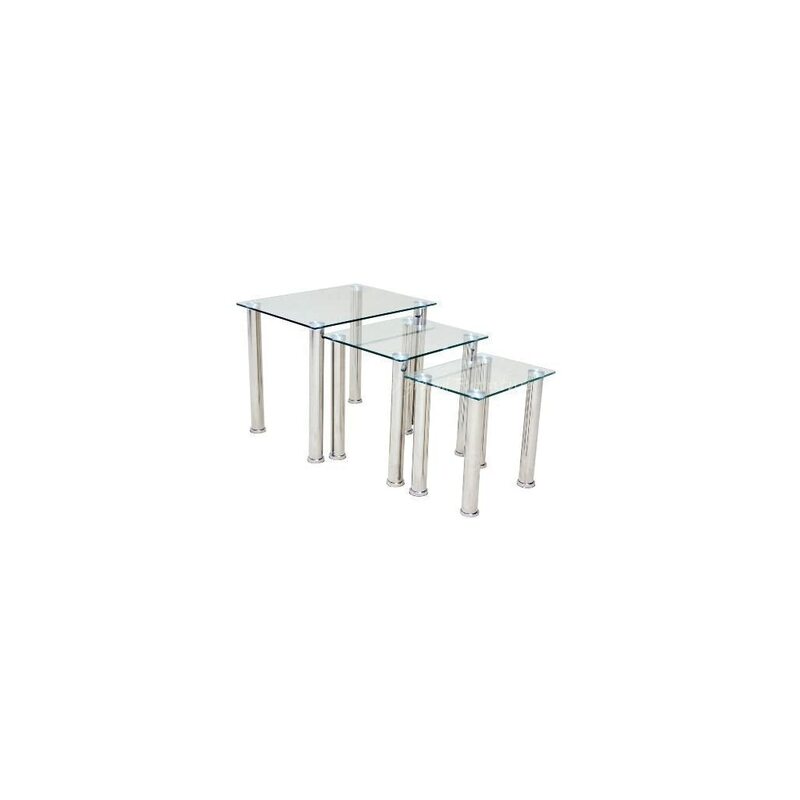 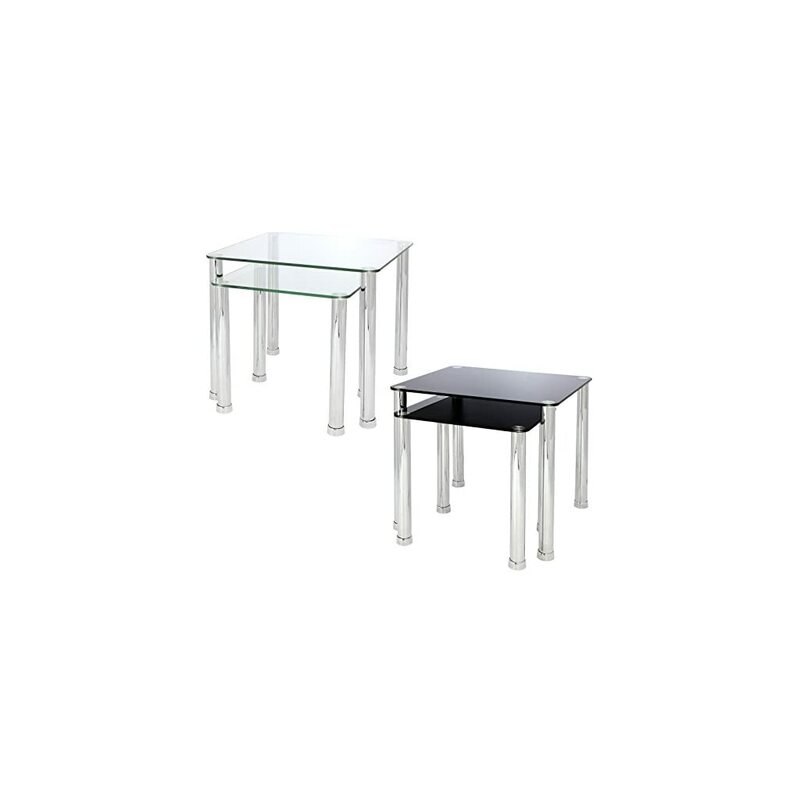 Spruce up your living room by taking home the modish Milan Oak Glass Set of 2 Nested Coffee Tables. 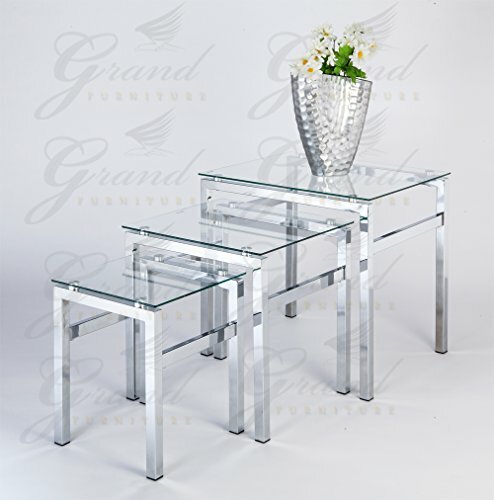 The beautifully styled body of this furniture item makes it the best way to add a touch of class to your room. 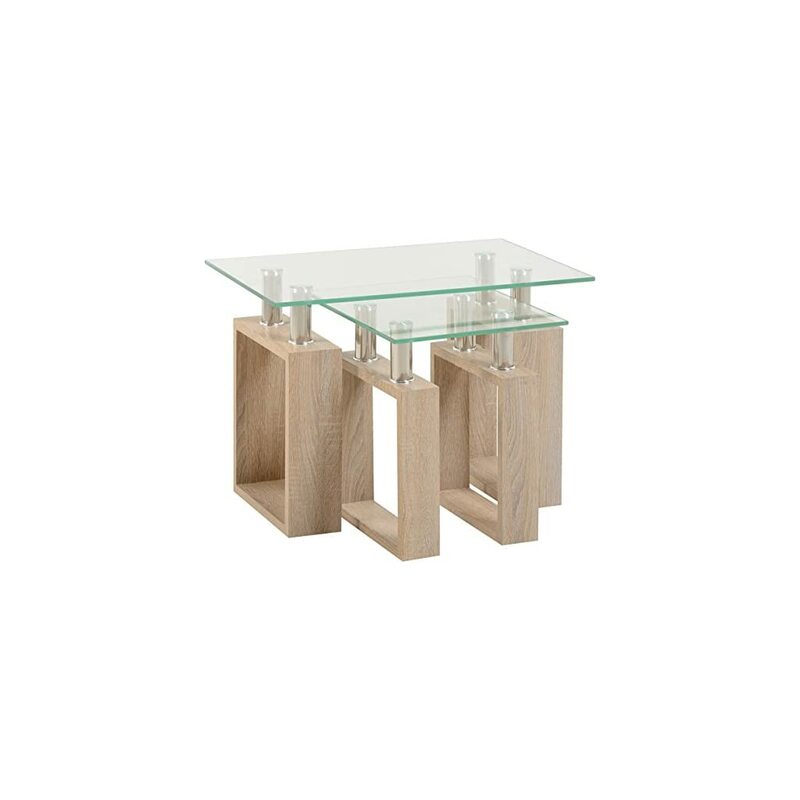 The table stands are squares that have a samona oak effect and are commendable in appearance. 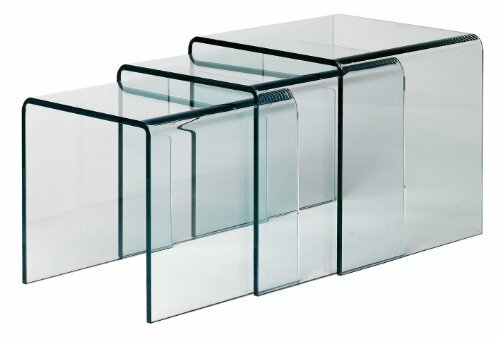 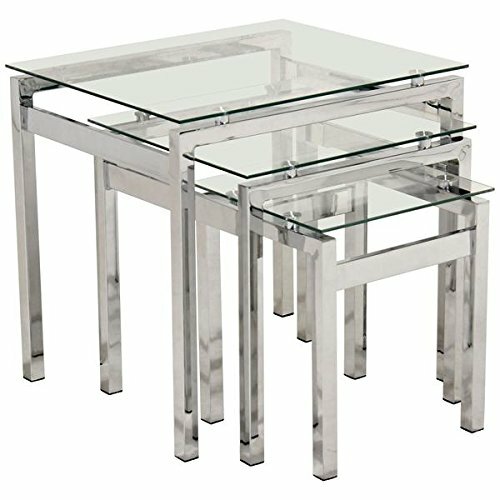 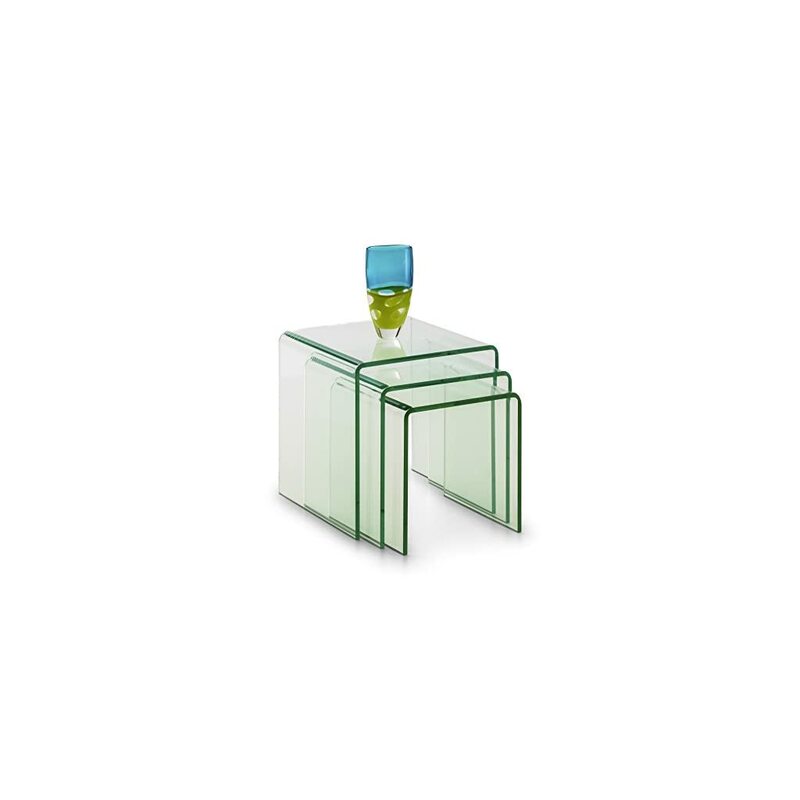 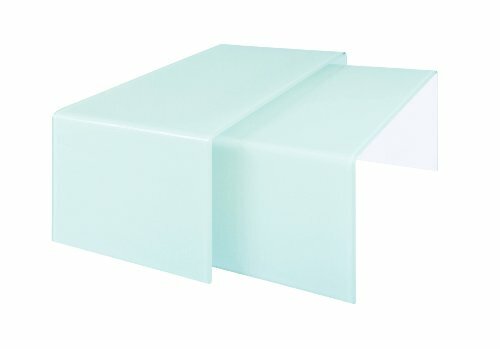 Sleek glass pieces act as the table top for these tables. 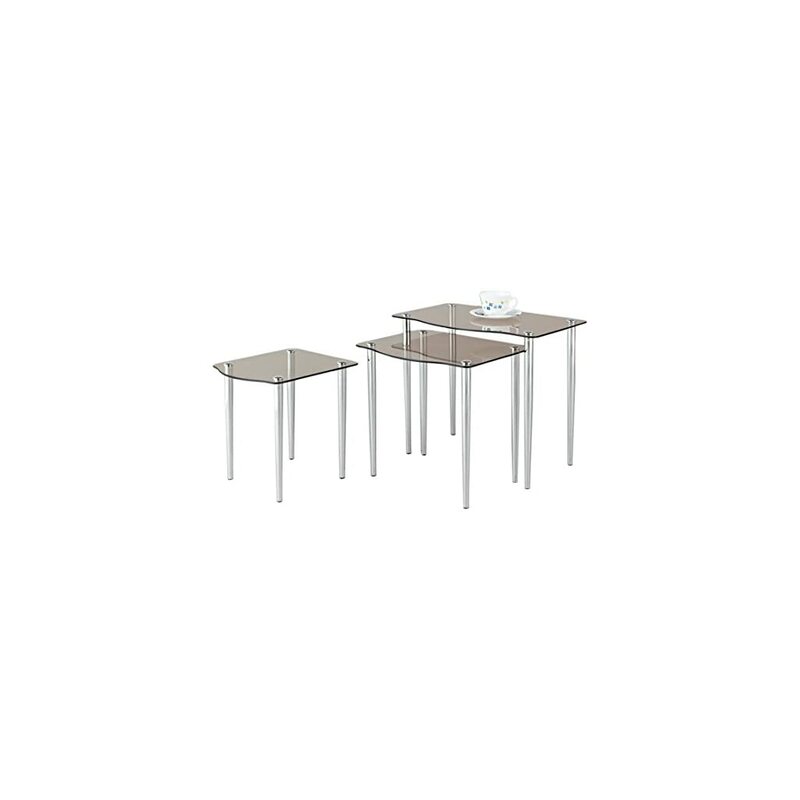 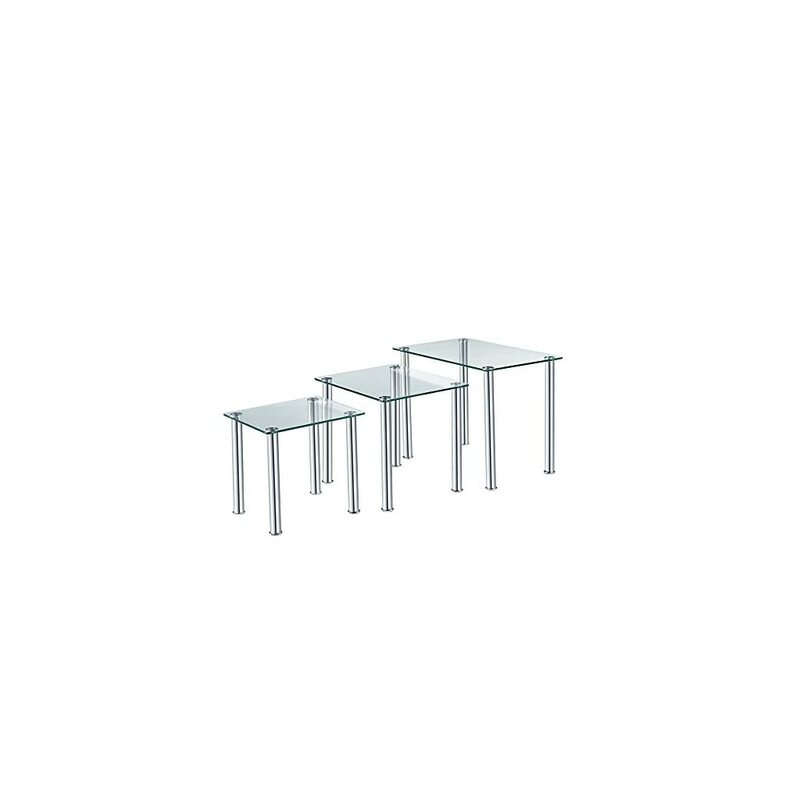 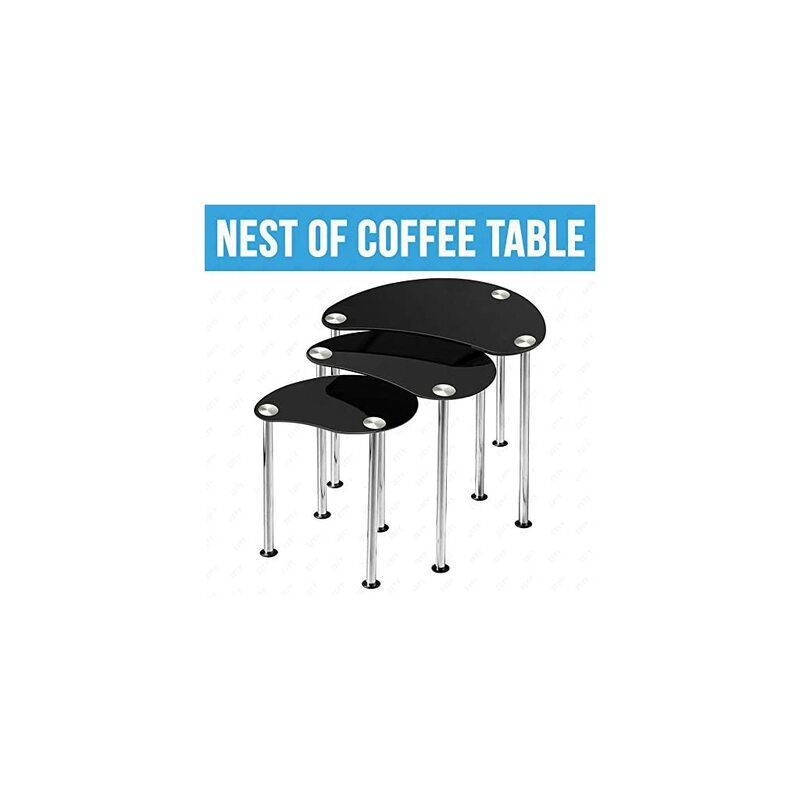 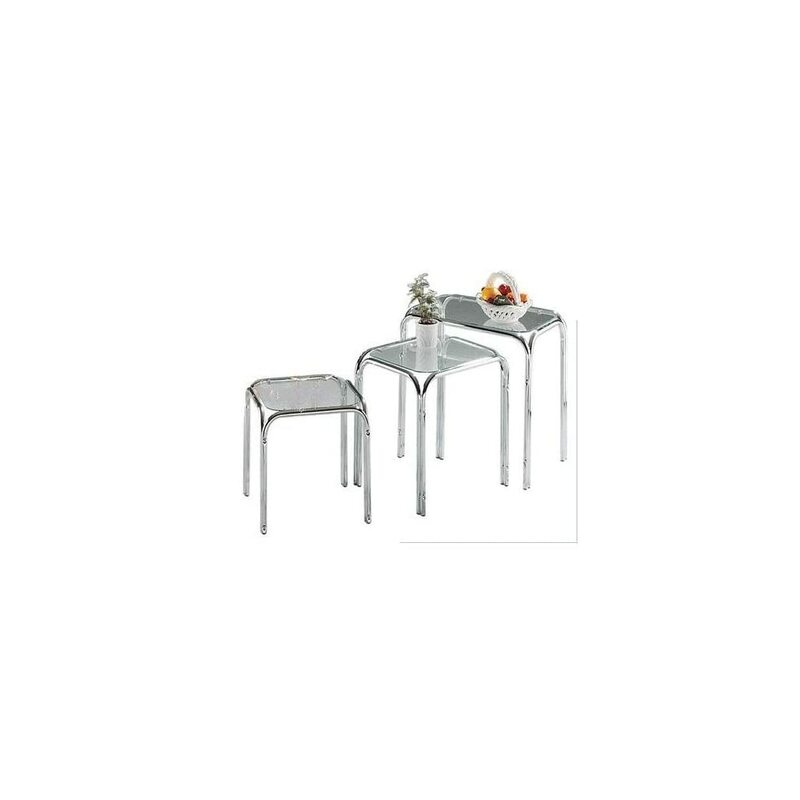 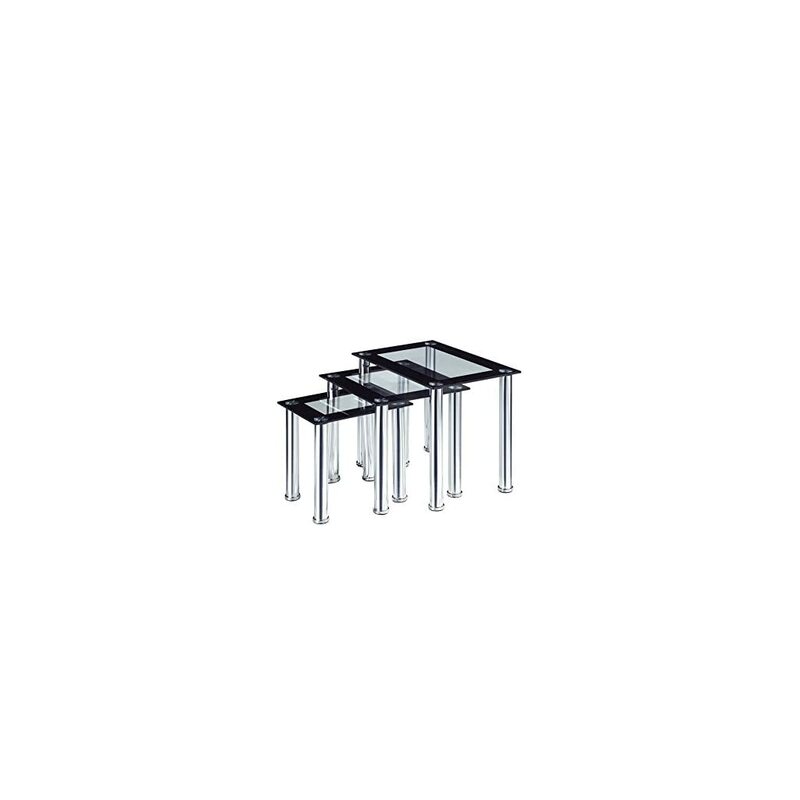 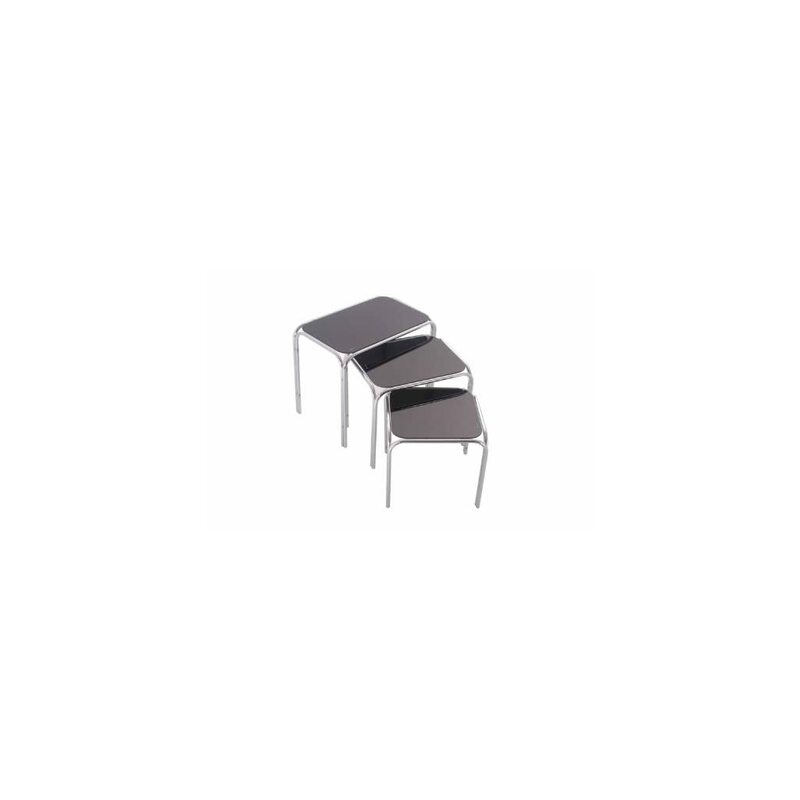 This nest of tables is suitable for use when you need additional tables.